It’s the 9th of December and the Christmas countdown continues. 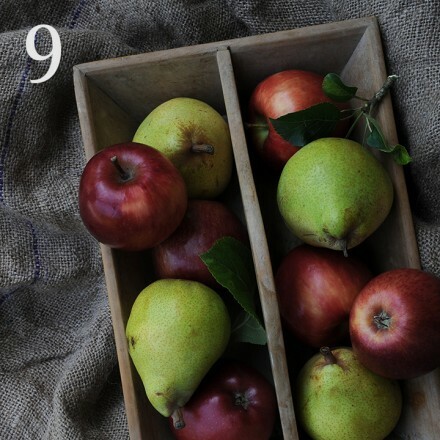 Today in our gorgeous BB Advent Calendar we reveal a delicious recipe for a wintery apple crumble. Now the weather is getting colder, this is the perfect dessert to snuggle up with and enjoy at home, in front of the fire with the fairy lights twinkling. So why not follow this simple video with Raymond Blanc and our executive chef Clive Fretwell. The sweet, tart perfection of gently cooked winter orchard fruits is paired with the warm, spiced, crunchy baked topping, and melded with a virtuous dollop of crème fraîche. As the crumble is made in advance, this is also the perfect dinner party dessert that’s simple to put together and one your guests will love! Just visit our recipe page for this gorgeous dish alongside many other stunning recipes. Don’t forget to tag us on facebook, instagram or twitter with the results of any of our recipes that you try. You can also share pictures of any other festive adventures you are having, whether it’s roaming a Christmas market or decorating your Christmas tree. Just tag us using the #bbadvent and we will enter you into a weekly prize draw to win some exciting prizes including some of our beautifully designed bespoke Christmas crackers, our gorgeous charity Christmas cards, and Brasserie Blanc gift cards to be spent in the New Year. Our advent calendar is filling up day by day with beautiful festive pictures, recipes & weekly giveaways, waiting to be revealed. You can follow along with us on Instagram, Twitter & Facebook to join in the Christmas countdown.